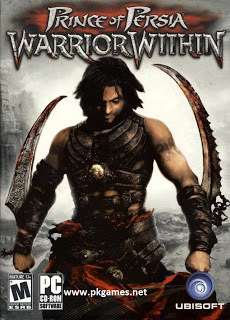 Prince Of Persia Warrior Within is Action-Adventure Game. It is one of the Prince Of Persia Series Games , all the series are produced and published by the Ubisoft company.Prince Of Persia The Sands Of Time is first edition of this game. In which Prince uses sands to reverse the time.After the six years of this game , Prince meets with old wise man who tells him that " Every one who uses the sands or escapes the time , must die." ( it is not exact words ). The Old Man also tells him to go the Island of time to stop the Beast Named "Dhaka". Dhaka is beast who kills the man that uses Sands of times.Prince escapes many times from this beast as shown in the little video story of the Prince Of Persia Warrior Within Starting .